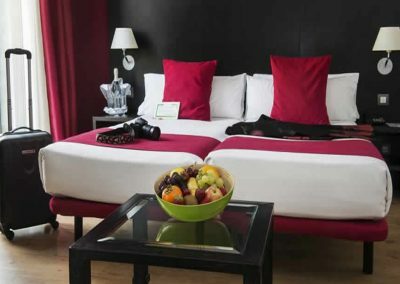 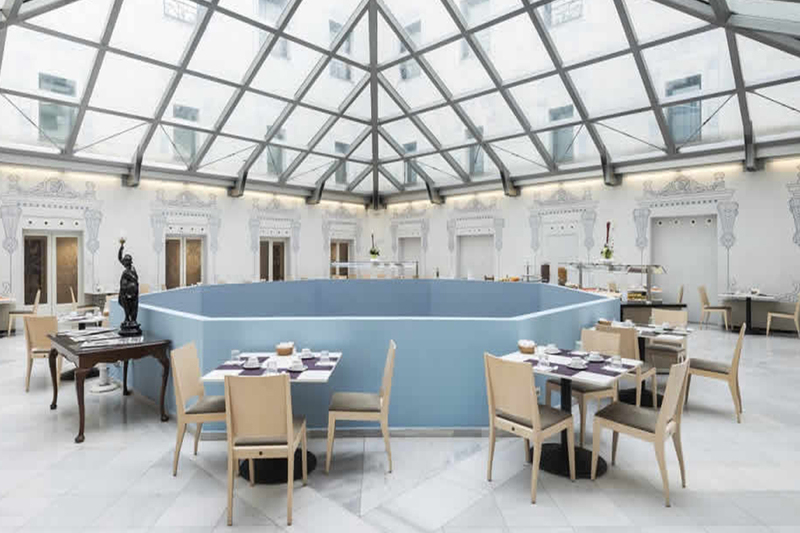 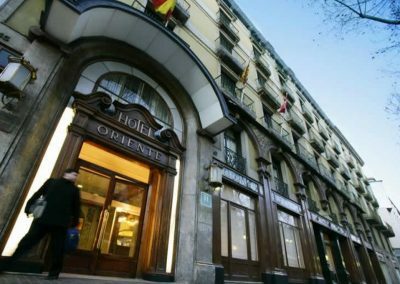 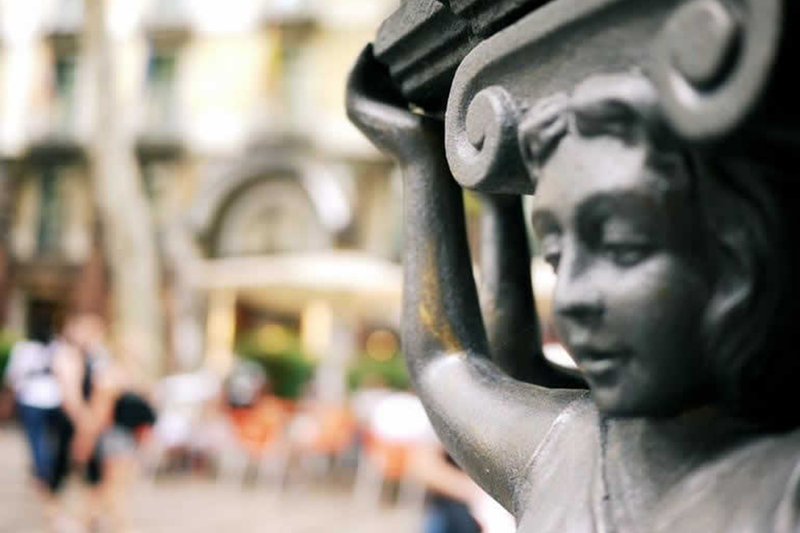 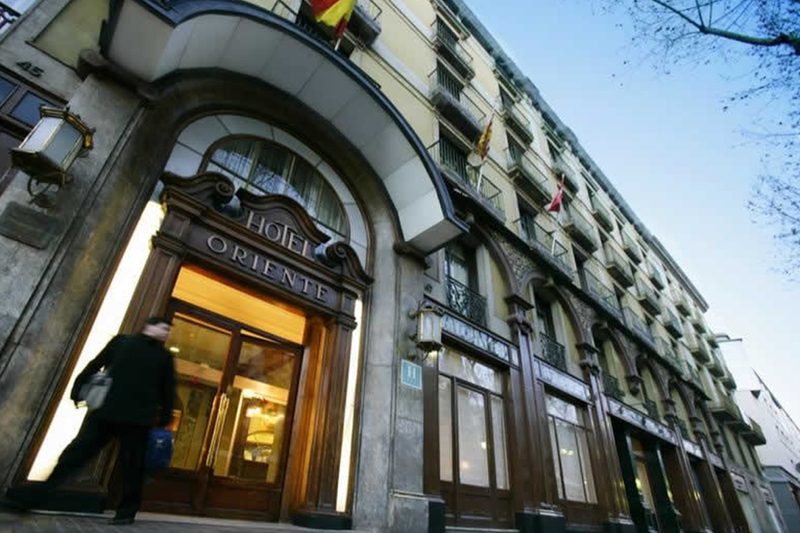 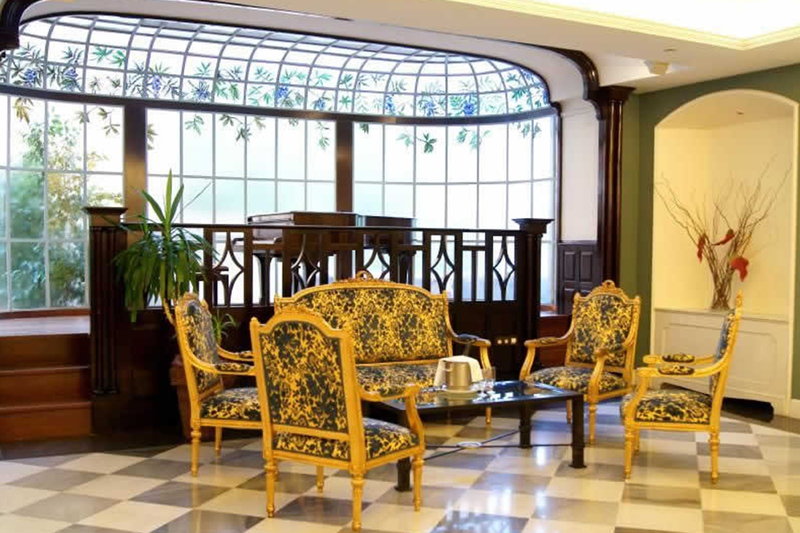 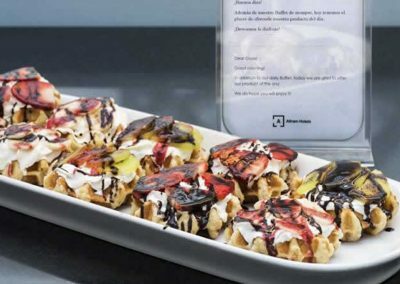 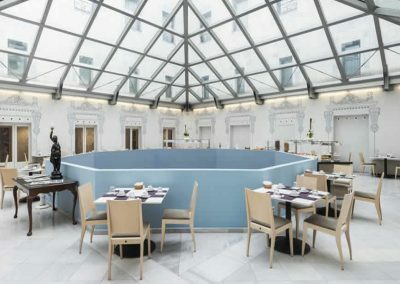 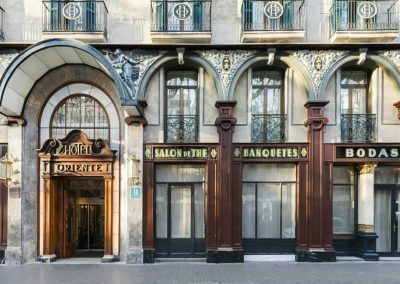 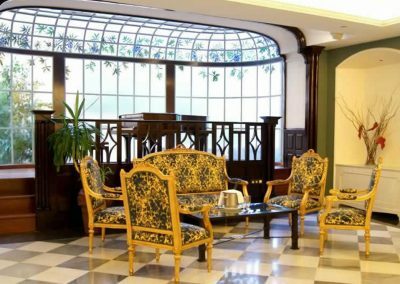 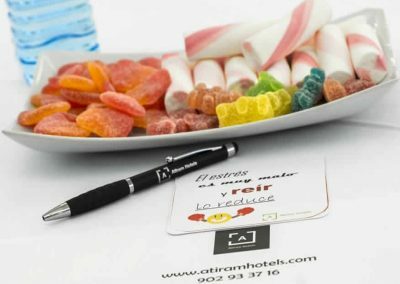 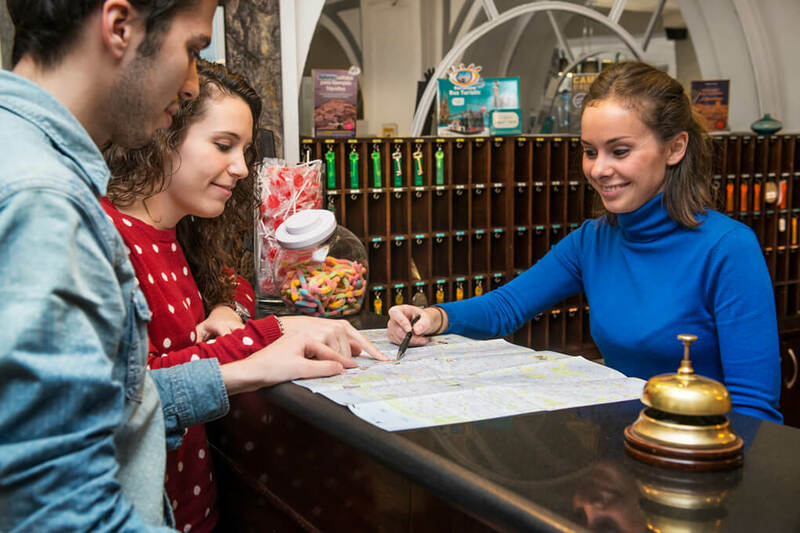 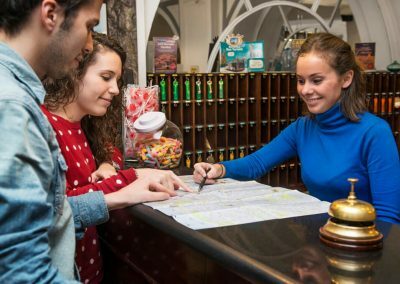 The Oriente Atiram, is our hotel located in Las Ramblas de Barcelona, this famous street of the city has important monuments like: El Liceu or el Mercado de la Boqueria. 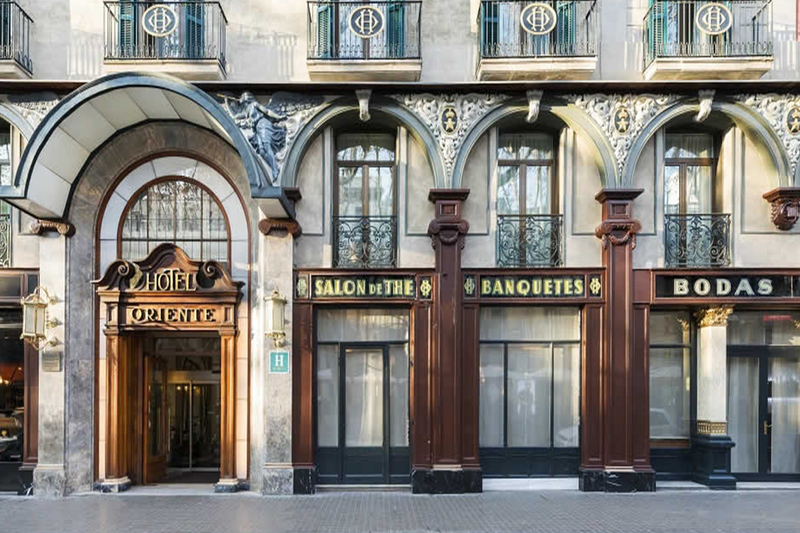 Barceloneta‘s beach is in a 15 minutes walk, but if you still want to go further, you can always take the metro (Liceu’s stop) which is 1 minute away from the hotel and you can move easily through the whole city. 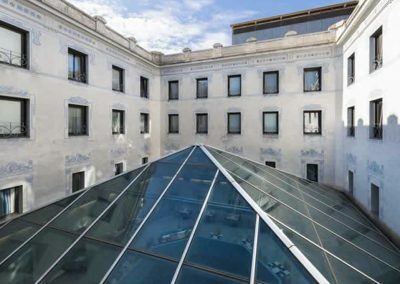 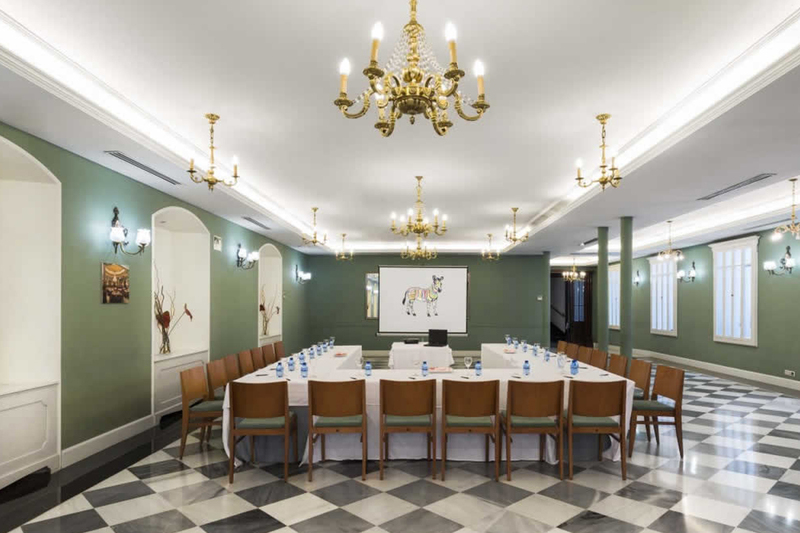 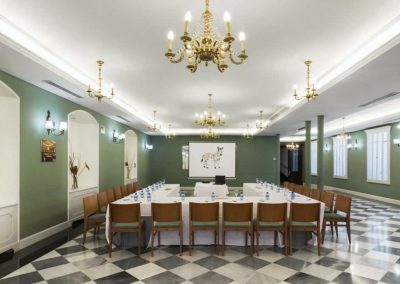 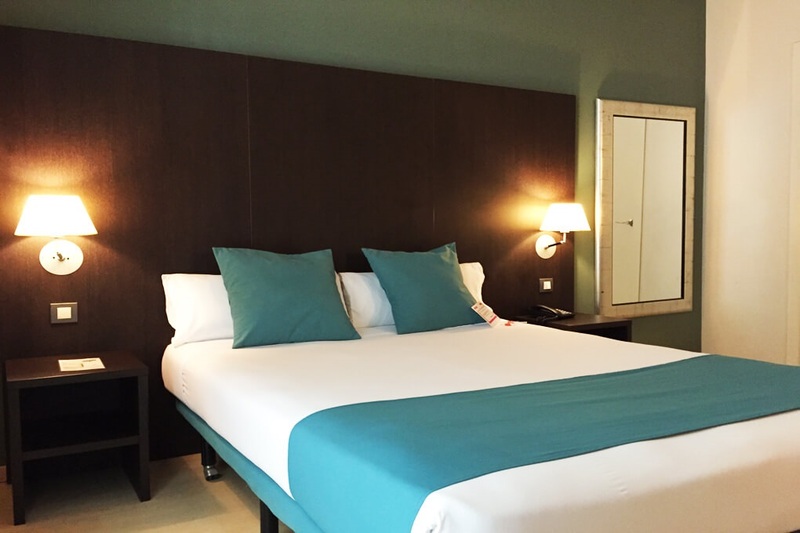 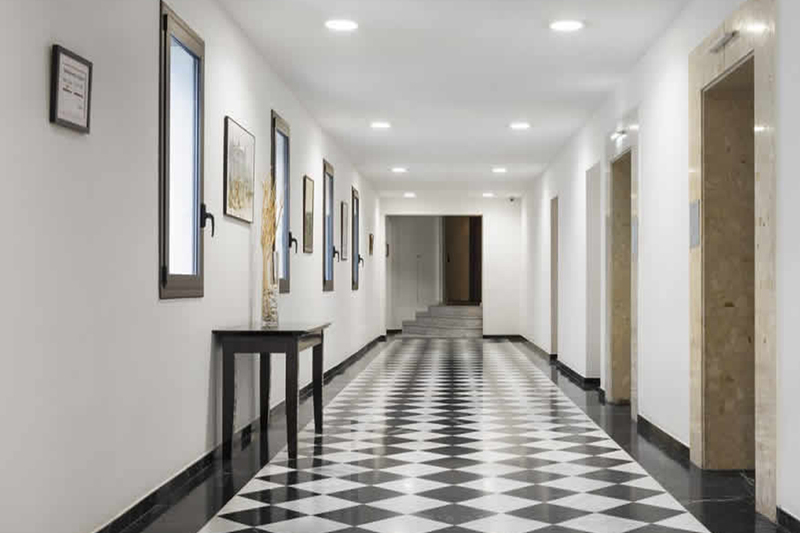 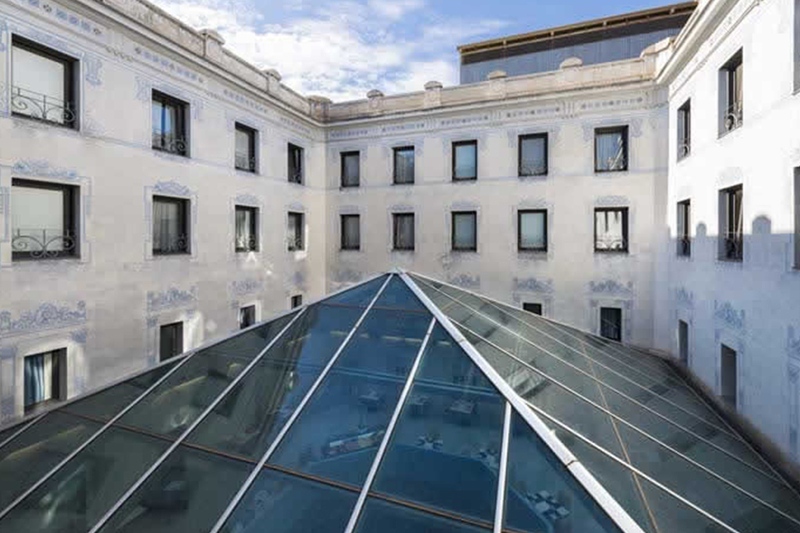 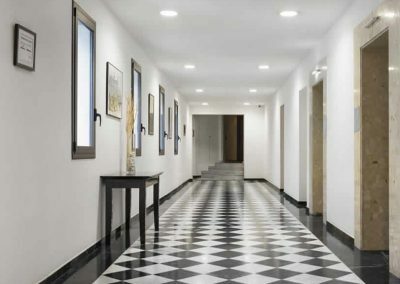 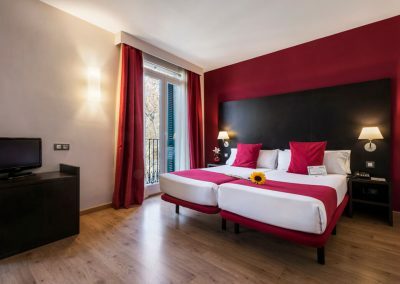 There are multiple types of rooms, decorated with a modern style, which will be adapted according to your needs, all of them enjoy the natural light and views to Las Ramblas or our magnificent interior cloister. 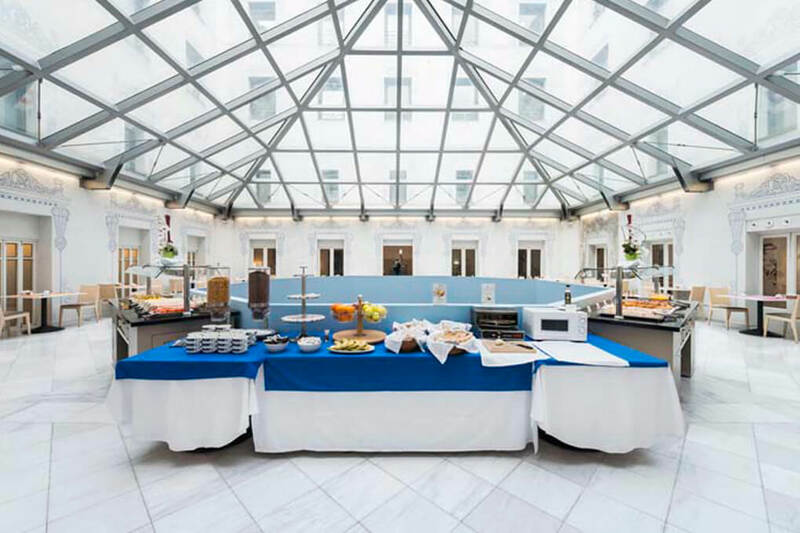 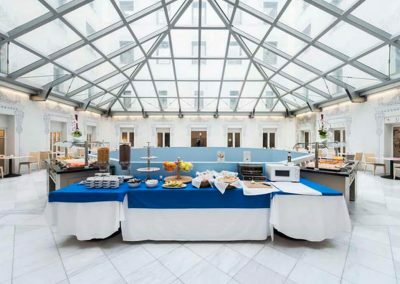 In this cloister is where we deliver the fantastic buffet breakfast, with a large variety of high quality products. 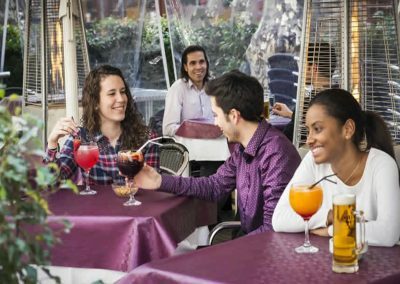 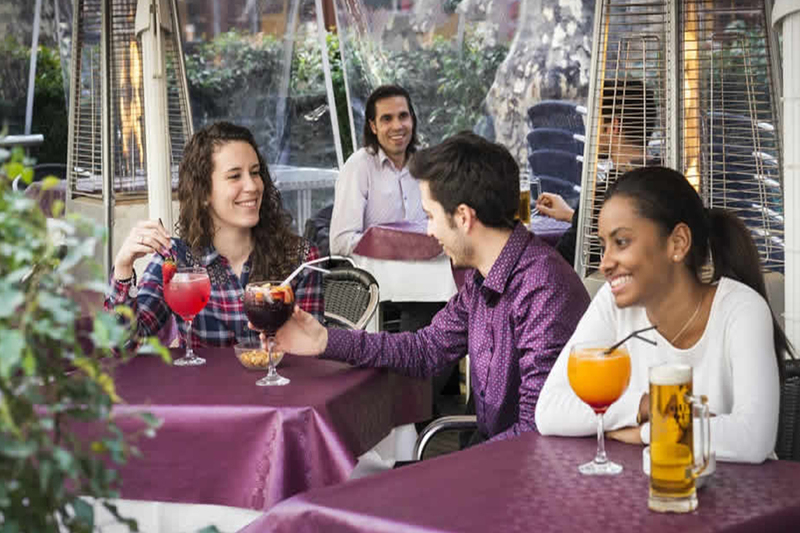 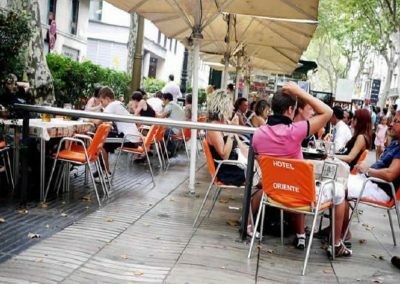 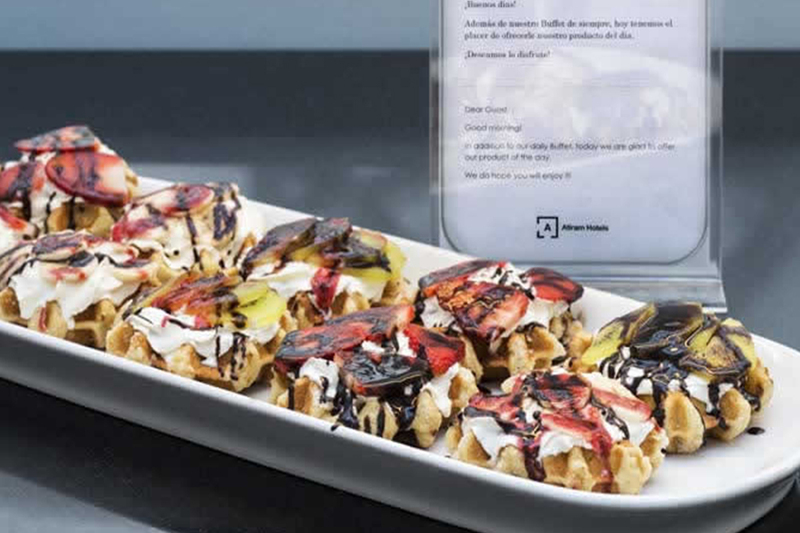 During the spring months and summer you can also enjoy the terrace placed in the middle of Las Ramblas. 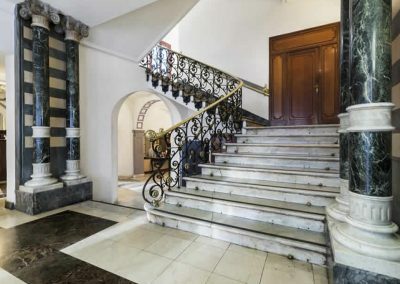 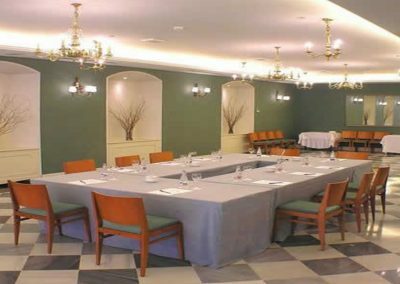 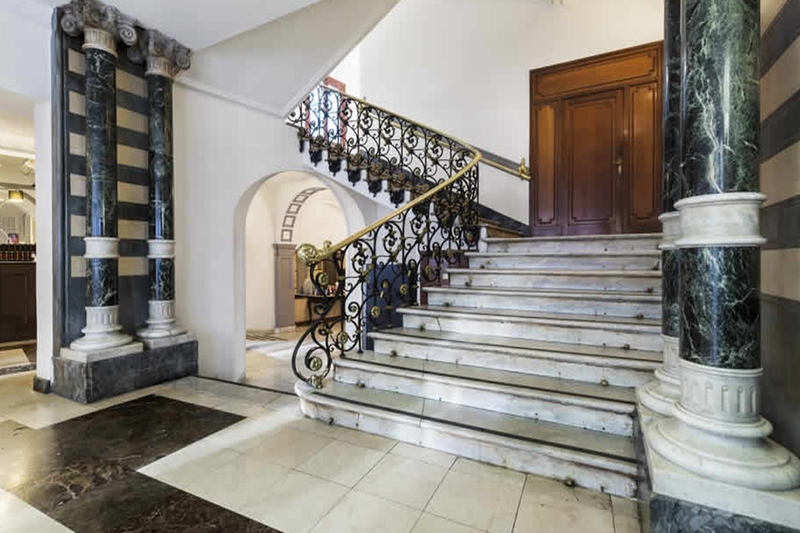 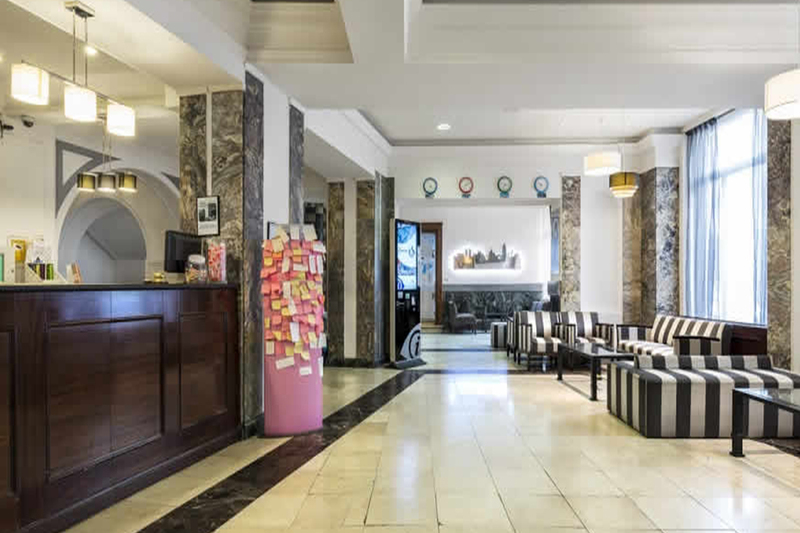 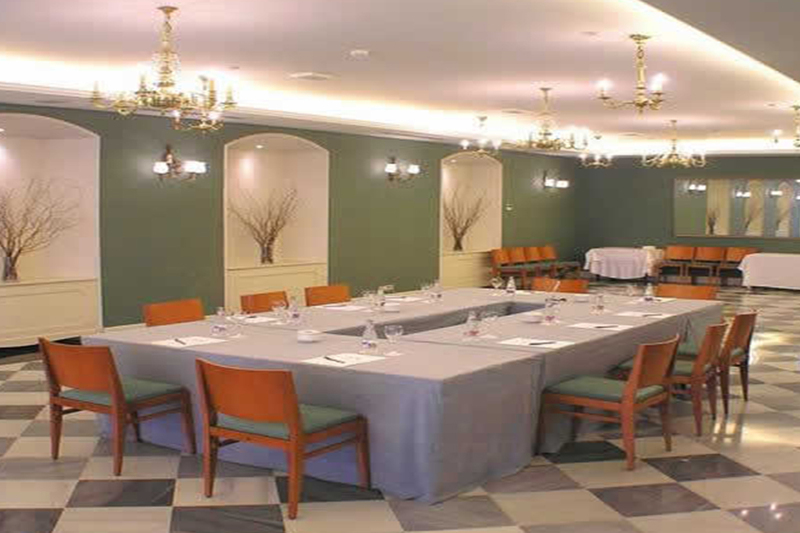 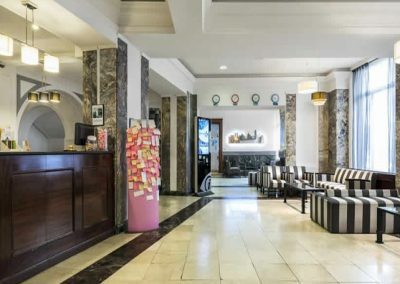 The hotel also has a polivalent room available where you can celebrate meetings, cocktails, banquets, presentations or events. 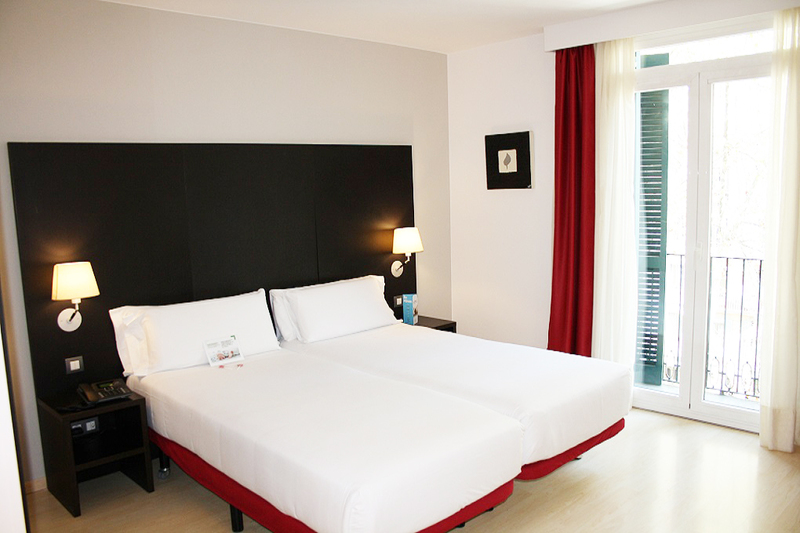 Quiet and spacious, with 1.05m beds, fully equipped and full bathroom. 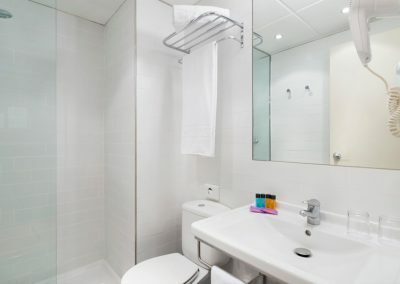 Services: Shower, Bathtub, Safe, Television, Telephone, Air conditioning, Bathroom amenities, Toilet, Bathroom, Heating, Satellite TV, Hairdryer, Wake up service, desk and free wifi. 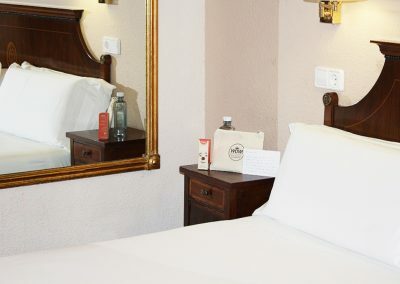 Room with double bed, very calm and spacious.Amenities: safety box, TV, telephone, bathroom, shower, tub, air conditioning, WC, heating, satellite TV, hairdryer, desk and free wifi. 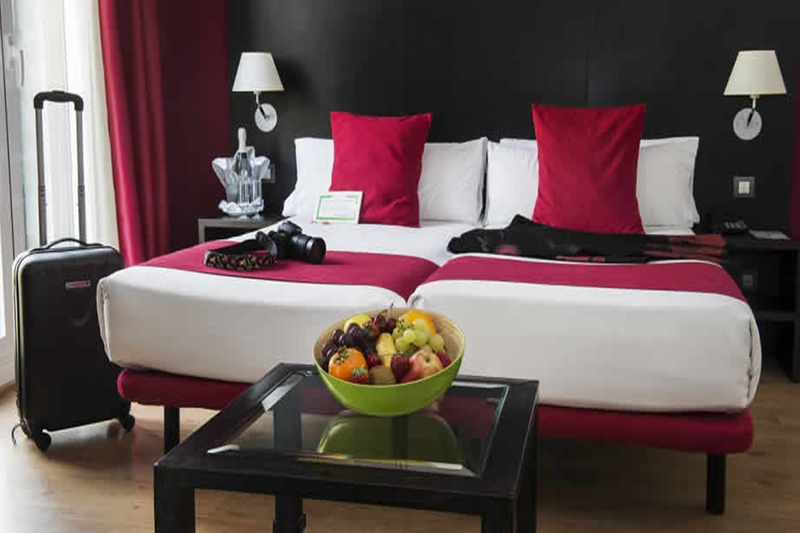 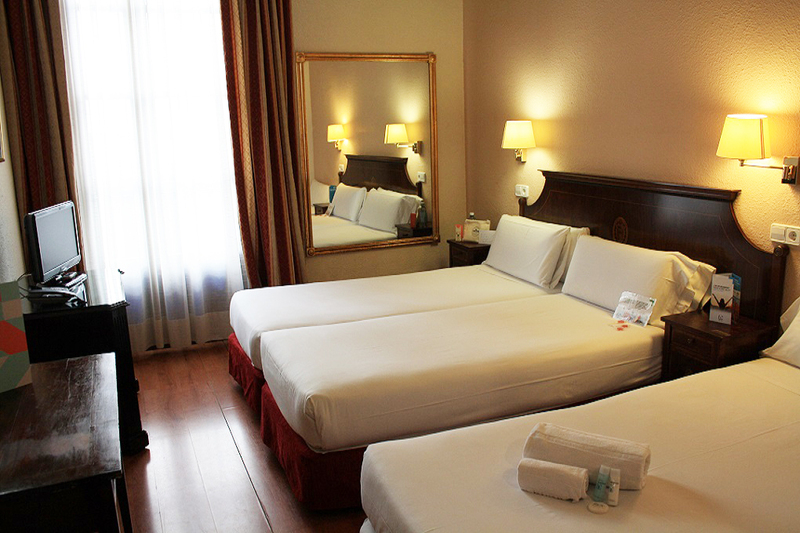 Quiet room, with soundproof windows, with a very functional style and views of the wonderful Rambla de Barcelona. 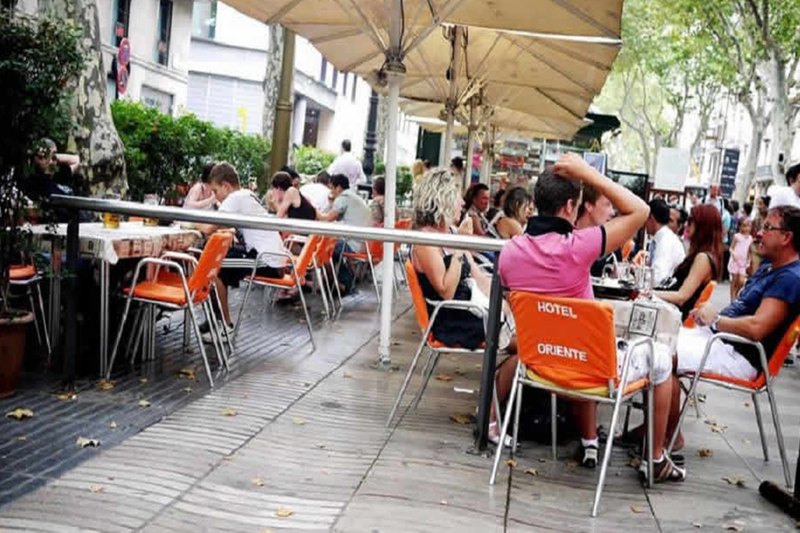 From your balcony, you can enjoy the whole atmosphere of the Rambla.  Services: Shower, Bathtub, Safe, Television, Telephone, Air conditioning, Bathroom amenities, Toilet, Bathroom, Heating, Satellite TV, Hairdryer, Service alarm clock, desk and free wifi. 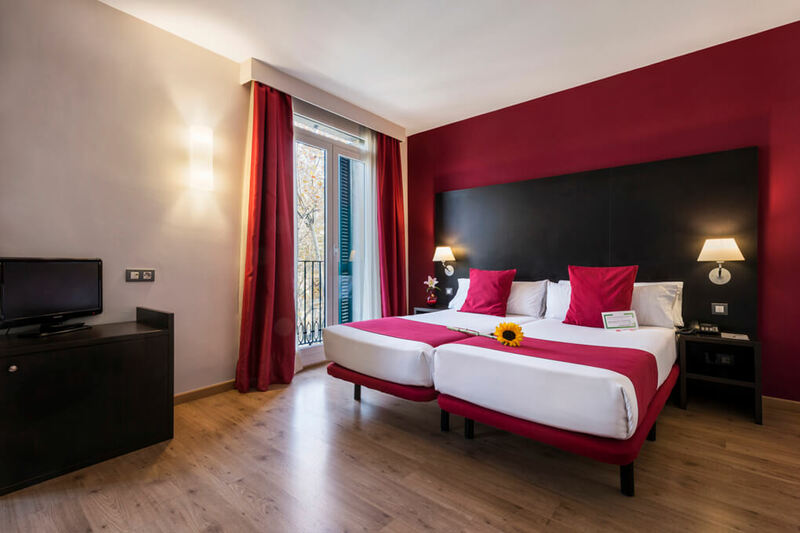 Calm, wide and functional room, with soundproof windows, with free minibar and additional complements.You can enjoy the whole environment of ‘Las Ramblas’ from the room balcony. 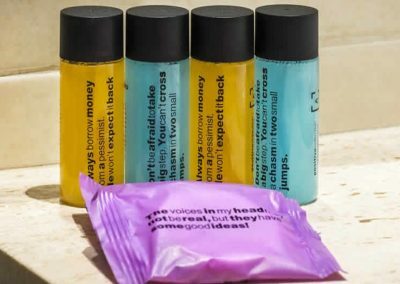 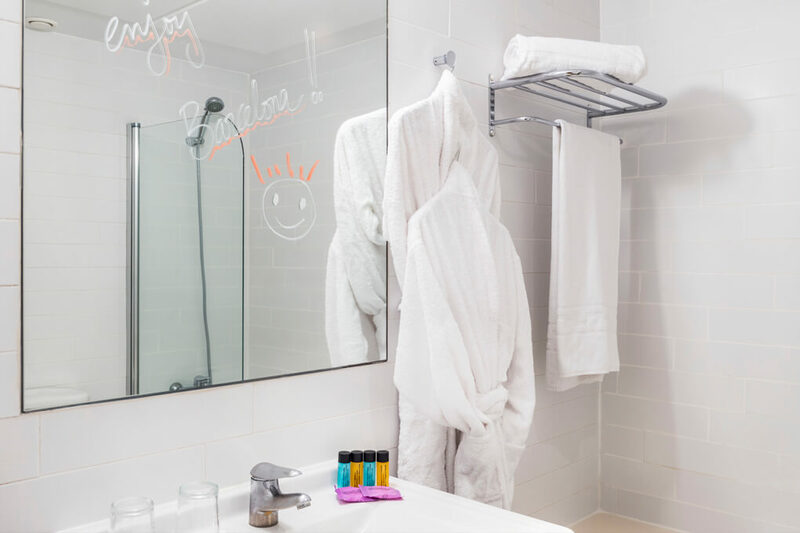 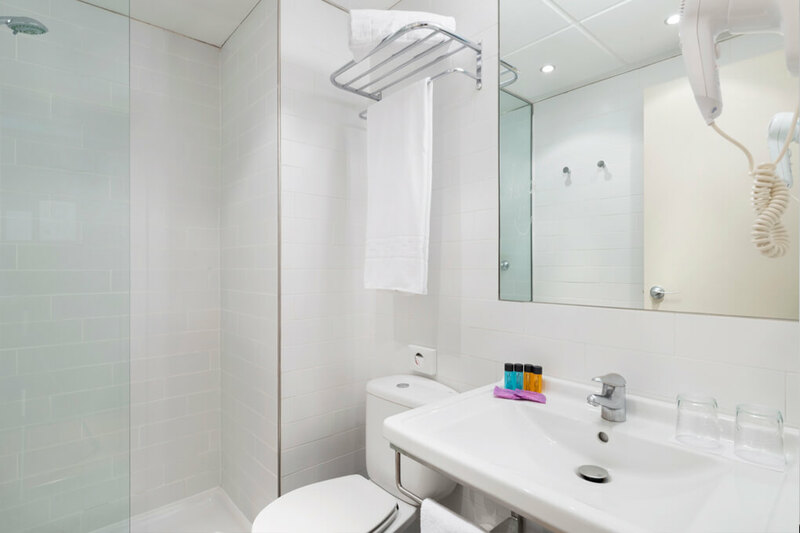 Amenities: mini bar, shower, tub, safety box, satellite TV, telephone, air conditioning, WC, bathroom, heating, hairdryer, desk , free wifi and Coffee maker. 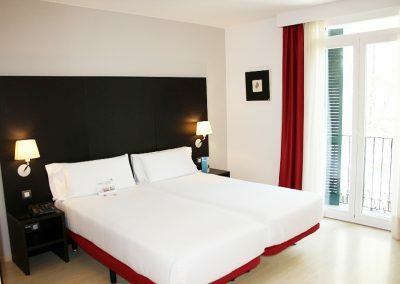 Wide room for 3 persons, with 2 beds of 1,05 m and 1 beds of 90 cm. 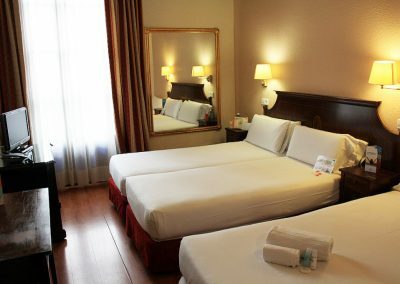 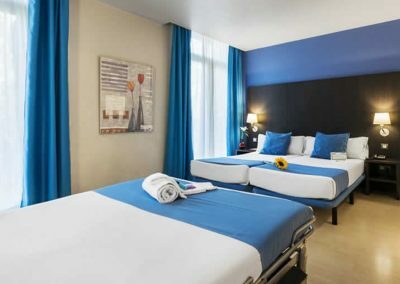 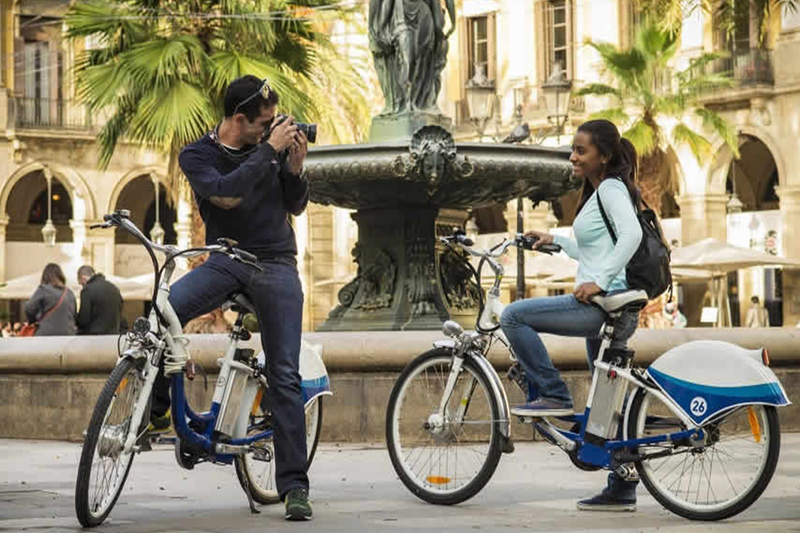 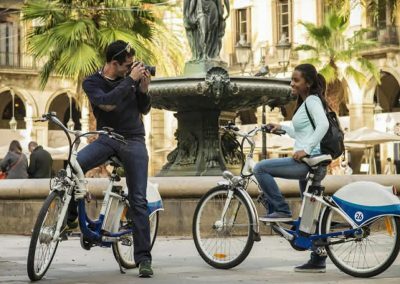 You can enjoy Barcelona in a familiar environment.Amenities: Shower, Tub, safety box, satellite TV, Telephone, Air conditioning, , WC, bathroom, heating, hairdryer, desk and free wifi. It’s equipped for 4 people stay and in which there are the most minimal detail is provided in order to make you feel like home.Amenities: Shower, Tub, safety box, satellite TV, Telephone, Air conditioning, , WC, bathroom, heating, hairdryer, desk and free wifi.